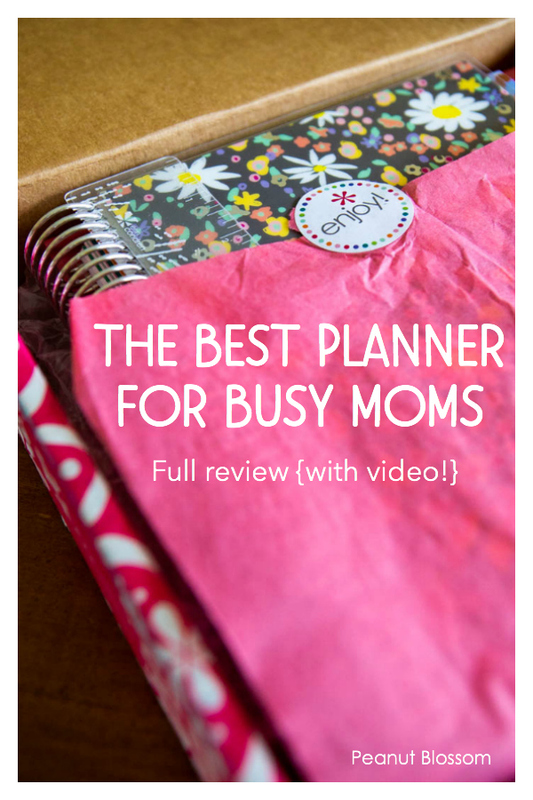 This full Erin Condren planner review for 2018 – 2019 explores the best planners for moms and how to organize your crazy busy family life. Don’t miss our video review of the all new Erin Condren planner at the end! Friends, I have purchased an Erin Condren life planner every single year since 2011. That’s 8 planners to date and I do not hesitate to snag a new one each year. I adore this product so much, I wanted to update this old post from my archive. I first wrote about my love of the Erin Condren planner for moms 5 years ago. I love my new 2018 – 2019 planner so much, I thought it was time to brush this review off and update it with some fresh information. In the last year I switched from a January – December planner to a July – June planner so that it would mimic the girls’ school calendar. I LOVE being able to add in the entire school year’s worth of info into one planner and not having to do a data transfer mid-way through the year when January comes along. The new planners for July 2018 – June 2019 are now available and they are amazing. Don’t miss the peek inside in the video at the bottom of this post! And don’t forget, you can save $10 by using my referral link here. If you have any questions about the Erin Condren planner that I haven’t answered, be sure to let me know! Why do I love Erin Condren planners so much?? For 8 whole years I have been tracking our daily family schedule on what I truly believe is the best day planner available for moms. I was first introduced to the Erin Condren planners just as I was finishing up a photography workshop on natural light at the end of 2011. I had a bunch of fresh pretty photos of the girls I loved and when I discovered that one of the Erin Condren designs features a big fat photo on the cover of the planner I was immediately intrigued. After using my Erin Condren planner day in and out for eight years, I can honestly say the photo on the front is merely icing on the cake. It’s what’s in between the covers that really counts! I came for the design, I stay for the practicality. 2. I am trained in the Franklin-Covey method and a die-hard office supply addict. I was lucky enough to be sent to an entire workshop on how to use the Franklin Covey system at my first real job out of college. (Thanks American Girl!) Yes, it sounds crazy that there is a day-long workshop out there on how to use a planner, but I can honestly say that was a groundwork building day that has positively affected the rest of my organizational career. 3. I have tried every phone app possible trying to take my planning digital. Some came close but none fully hit the mark. I’m a paper girl at heart. There is just something amazing about that hand-brain connection — I remember things better if I’ve written it down. I also love being able to scan the pages of my notebook as needed. And checkmarks. Oh gosh the satisfaction of physically crossing something off your list, am I right?? Why is the Erin Condren planner the best planner for moms? 1. The Goals and Notes column: There are several page layout designs to choose from when you customize your Erin Condren planner but my all-time favorite is the weekly spread with the notes column. See that long column running down the left side of the planner page? EEEK! This is a list maker’s DREAM. For all those to-do’s you want to accomplish in the week but don’t have a time-specific need to accomplish them, there is a neat and clean space right there!! I love that it keeps my individual days blocks free of to-do list clutter. 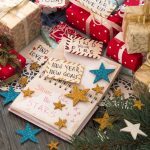 There is a similar column on the monthly view tabs which is simply perfect for those longer term to-dos! At the end of each month, I look at that column for the next month and immediately schedule those to-do’s to the appropriate week where I think I can manage them. 2. The day is broken into parts not hours: I love to choose the layout that is not time specific. As a mom, I don’t have appointments and meetings filling each half hour of the day to record. I love that the page is simply broken into three open spaces. I love the big chunks of visual white space that let moms choose the way to organize their day the best way for their families. Over the years, I’ve used that spot to track what we eat (including how often we dine out), my workout plan for run training, and shopping lists for things I needed to jot down quickly. 4. The personalization and color options for the planner cover: As a photographer and a mom I adore having my girls front and center on the cover of my planner. For many years we had a dedicated photo session so I could get a fresh portrait of my kids for my planner cover. For the last few years, I’ve used my favorite photos from our trips to Disney or the beach. 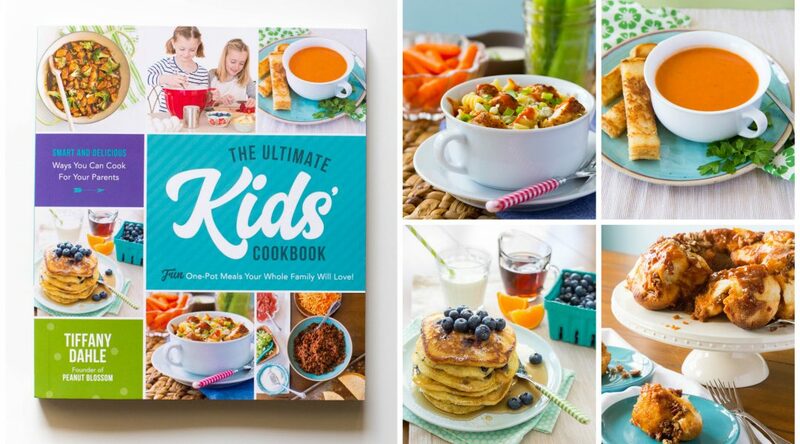 But, if you’re not a photographer or don’t want a photo on the cover, Erin Condren has several adorable and fashionable options with or without your name. The covers are also interchangeable! If you wanted to rotate covers by season or have one with updated photos, you can order just the cover and it snaps right into the coil binding. Check out my video below to see how that works. 5. The sturdiness of the planner paper and cover: These planners are crazy powerhouses, they will hold up to your active family life with no problem. The planner cover is thickly laminated, the planner binding features a thick coil wire that doesn’t unravel or hook, the monthly tabs are thickly laminated and hold up fantastically to heavy wear and daily use. You see photos of one of my well used planners at the top of this post and it still looked pristine after 9 months of use. 6. Awesome planner extras: Extra features I love about my Erin Condren planner include: blank lined pages at the back for general note taking; a sturdy pocket folder for holding notes, receipts, cards, etc. ; a plastic zip close pouch for odds & ends; several sheets of stickers for things like birthdays, date night, game day, doctor appointments and more; and the overall color theme which changes monthly and gives you a sense of season. And though I’m a Sharpie lover, nothing but these pens will do when writing in my planner. I love that they are brightly colored but don’t bleed through the page to the other side! 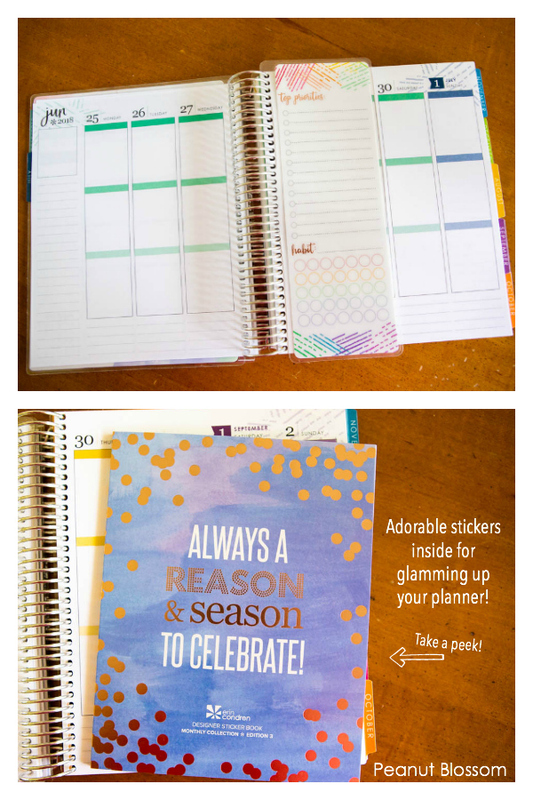 The inside of the planner pages are very clean and simple, but if you’re a holiday lover like I am you won’t want to miss the adorable sticker packs accessory options for glamming up your planner. I flip through my favorite one so you can see all the stickers in my video review below. Did you find this post from this pin? You’re in the right spot! I’ve updated my Erin Condren planner review for 2018! The reason I use it is because it has individualized squares, and like you I wear many hats (photographer, blogger, kids hubby etc.) I like that I can have individualize sections for all the things I am involved with. I noticed this planner you are using does not, but you also wear many hats..how do you compartmentalize your tasks? Do you color code it when you write it down? I want a funky/fun planner, but have a hard time letting go of my boxes..haha.! Thanks for sharing! Not a silly question, Jesse!! I couldn’t see the picture preview of your planner close enough to get a good idea of what you’re using, but I make little check lists by category on each day. I do most of my blogging & photography work in the afternoons during naptime so that work goes in that section of the planner. My mom duties & errands generally go in the morning box because that’s the time of day I’m focusing on those items. But, there are definitely lots of times where tasks will be mingled because of appointments etc. I’ve had mornings with a check list that looks like this: Grocery shop, Buy photo props, Deposit check, Pediatrician apt. I just try to list my tasks by priority and day part I plan to tackle them. I have coveted this planner ever since you recommended it to me years ago, but have never pushed the ‘buy’ button. Maybe this year I finally will give it a try. It looks amazing! And I want those pens too! I’m with you… paper is for me! I can’t do the iPhone apps – things just seem to slip past me…. I’ve got two diaries, two wall calendars and a desk calendar!! These look beautiful! Off to check them out for 2014! Thank you for the recommendation! I went and ordered one and have fallen totally in love with it as I’m using it. I’m so happy with the purchase! I ordered my first EC planner in September after stalking the site for most of a year. It’s killing me that it doesn’t start until January!!!!! I usually never comment on blogs, but I came across this link on Pintetest. I am a military spouse and our family is stationed overseas. Until recently, EC only offered her planners to be shipped to an APO address with a $25 shipping fee. Many spouses messaged EC about the cost, and after reviewing their suggestions, she now offers free shipping to APO addresses. I was very surprised and very thankful that EC made that change. Her planners are beautiful, very organized, and even more appealing now that we know she takes her customer’s concerns seriously. Found you on Pinterest and suspect I’ve found a kindred spirit. You had me at “Organization is MY THING.” Love that. It’s totally my thing too. This is one of the best reviews I’ve found on the EC planner. I’m a digital girl who also likes to make daily to do lists. So, your review of the full on planner was really helpful. I plan to direct my readers who ask about the EC planner to this post. 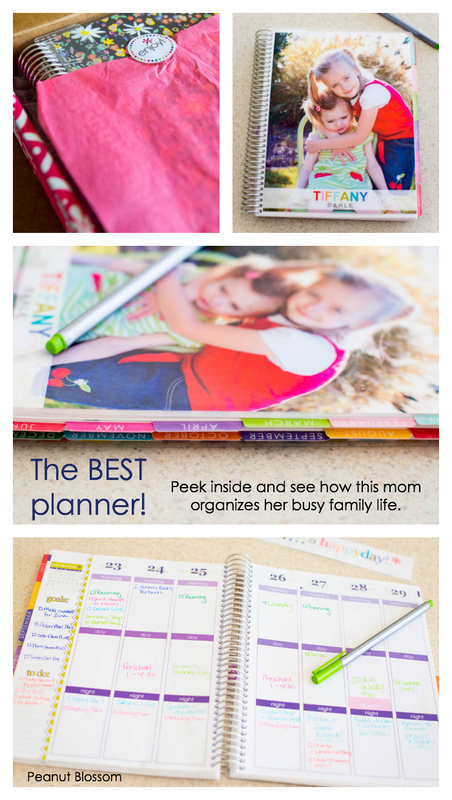 Check out the mom planner from intheleafytreetops.com so so awesome, I have the Mormon mom planner an it’s even more incredible but has some added pages for church lesson planning and family home evening planning but seriously great planners all around. And a bit less expensive the some of the others mentioned. Creative ideas – I learned a lot from the facts – Does someone know if my company can obtain a sample a form copy to edit ? Here is one of the reasons I love them more than any other planner: the month tabs! They stick out from the cover just a touch so you can flip without opening and they are the ONLY planner that has different colored month tabs. If you have a direct sales business it makes it so much easier when party planning! YES! I use those tabs every day flipping around and they hold up to so much use!